Language Service Provider Network: OTM customer communication – Czech added! 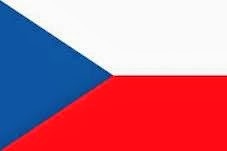 OTM customer communication – Czech added! The OTM modules for customer communication have been localized in a number of languages: English, German, Spanish, Catalan, French, Dutch, Portuguese, Polish and Finnish. Now LSP.net has added Czech to the client interface.